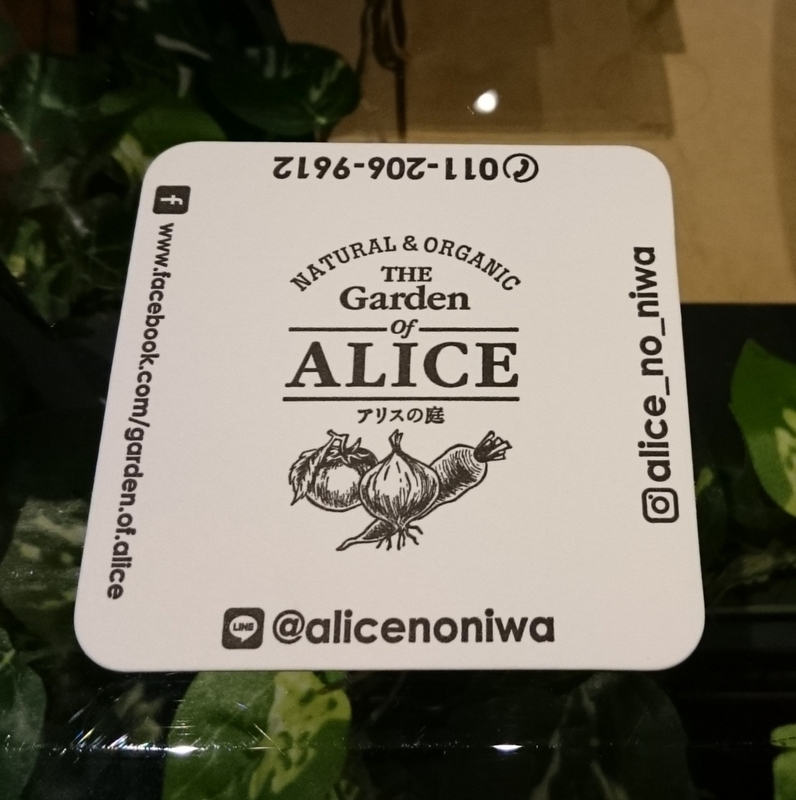 I went to Alice 's garden for lunch. "A new Natural & Organic style shop that makes a delicious revolution with farmers in Hokkaido"
It is a shop that has the concept. So we use foods of Hokkaido (it must be forced by seasons etc. from unavoidable other prefectures) to raise farming (dairy farming) in Hokkaido and deliciously eat fresh ingredients of local production locally and eat healthy. It is near the Sapporo station, behind Tokyu department store, next to Famima. The appearance is not so noticeable. Smoke window shopping seems to be moderate in appearance, I think that it is easy to enter because there is no gaudyness that got strange. Forest when I look inside the store? Like. 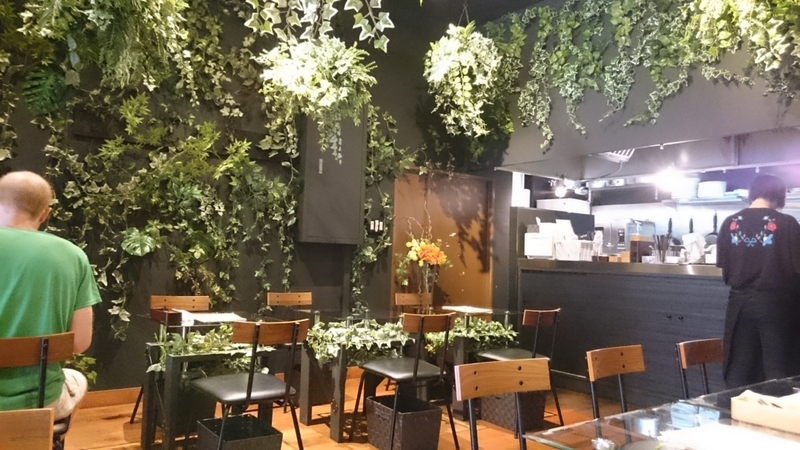 Inside the store there is a chic monotone wall and plants displayed from high ceilings. It was calm and had a quiet atmosphere. Also, the ornamental plants are not real at imitation. Therefore there are no small insects etc. inherent in the houseplant. 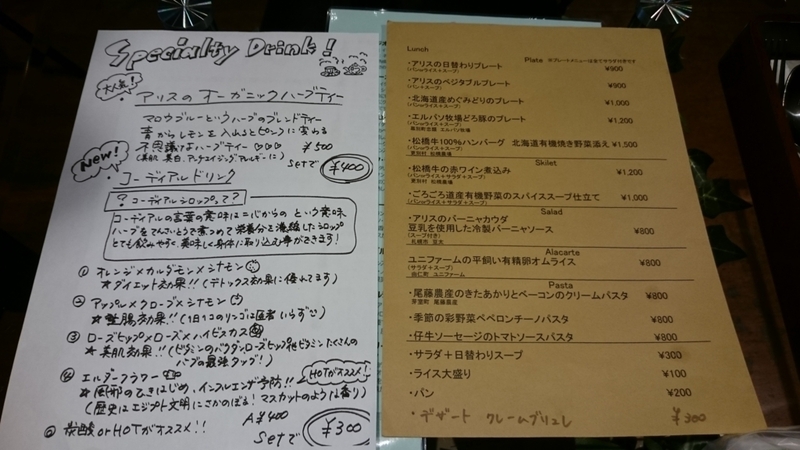 Well, I think that it is reasonable for a restaurant (lunch), a restaurant of Natural & Organic. 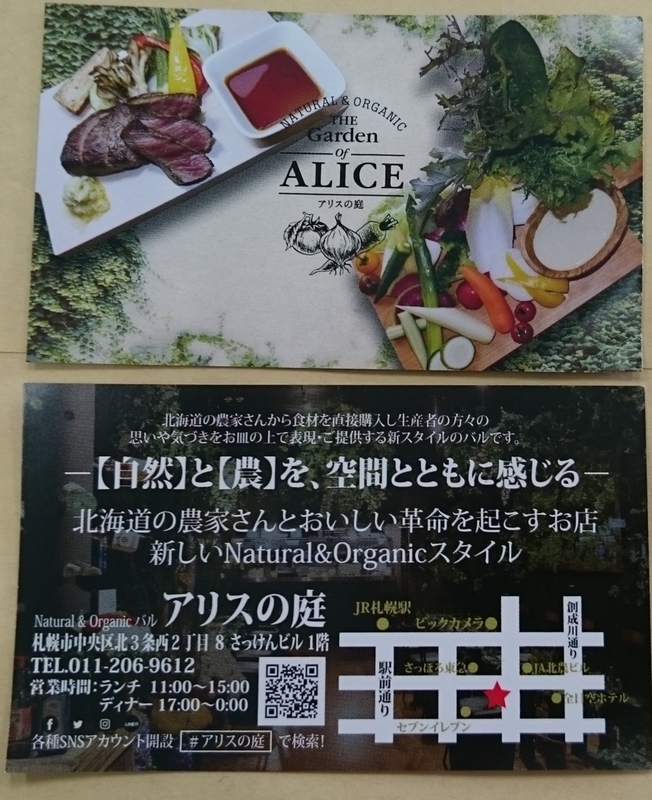 Alice's daily plate (pan or rice + with soup) + ¥ 900 and codial drink Apple + clove + cinnamon carbonate (set 300 yen) + claim brulee (dessert ¥ 300). 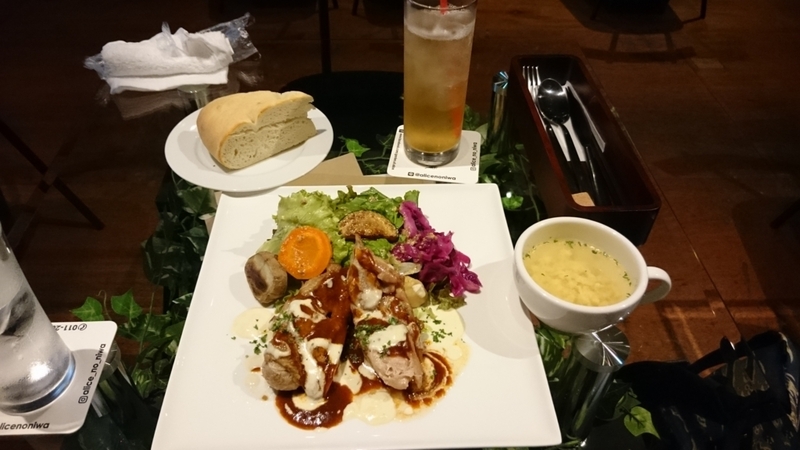 The daily menu on this day was Megumi dori (chicken saute) from Hokkaido and a plate rich in vegetables. With a gentle taste that does not kill the ingredients, I think that you can satisfy the volume without the odor of vegetables. I like this one from a restaurant in the basement of a certain life insurance building that sang a natural healthy. Well, although it is a drink, what is a cordial drink? It seems like a drink made by dividing cordial syrup with carbonic acid. Cordial syrup is a syrup that is obtained by boiling herbs with sugar beet sugar. It does not feel stinky, it is sweetness of natural origin and it is good for health and tasty. It's not a high-class taste, delicious. The price is discreet. 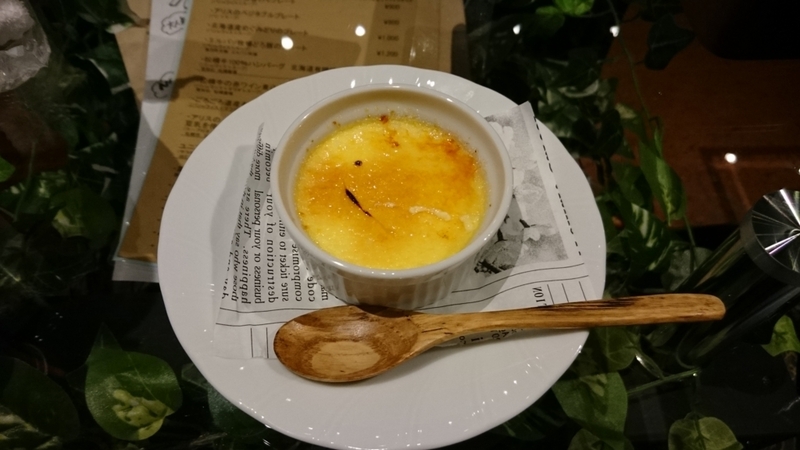 Since there seems to be little menu of sweets, use of cafe may be good if something eye candy sweets can be made. 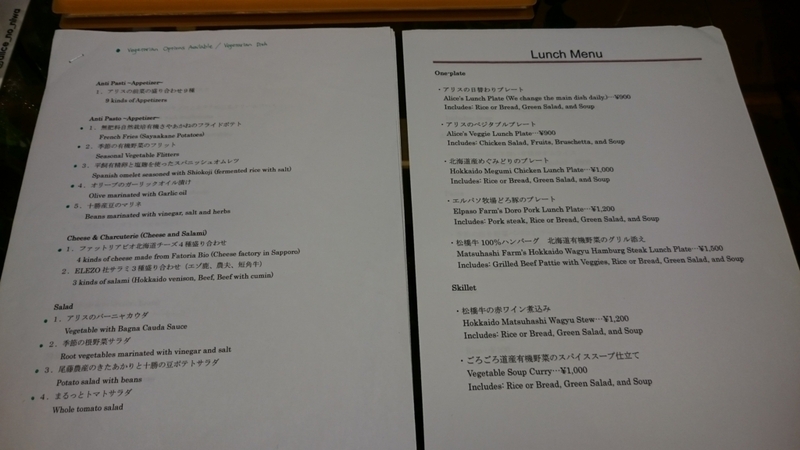 There is English menu, too. Some of the staff are able to speak English. Also, this shop is available for vegetarian menu. Please tell staff to vegetarian menu hope when ordering. 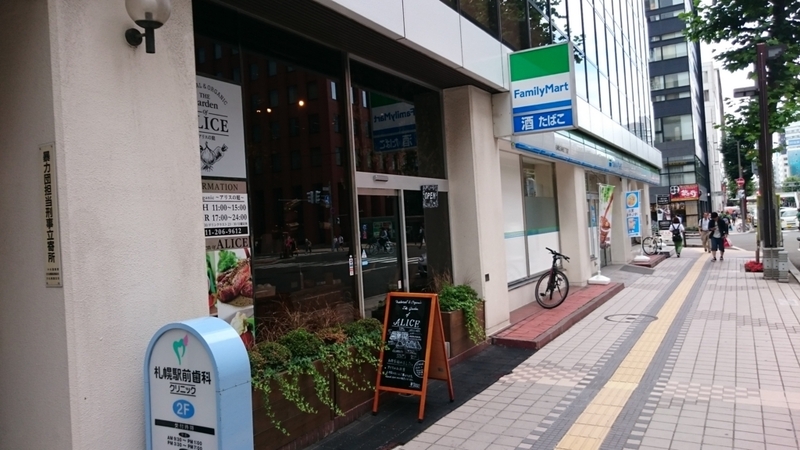 This shop that uses Hokkaido-made foods preferentially may be a good place to take a visitor from outside the country (foreign country). 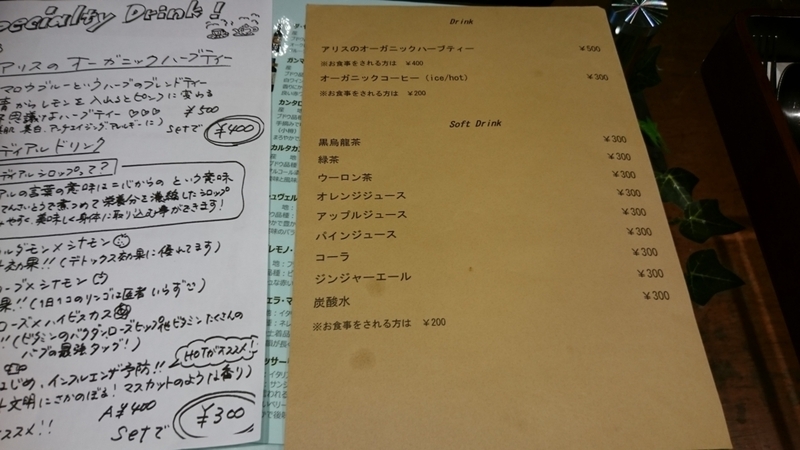 It seems that Hokkaido 's major food can not be bought or eaten as well as people who are not good at seafood and travelers from outdoors for lunch. It may be good for a quiet lunch for one person in an atmosphere that is quiet, quiet, loudly talking to a lady or a young women's group without having a group.